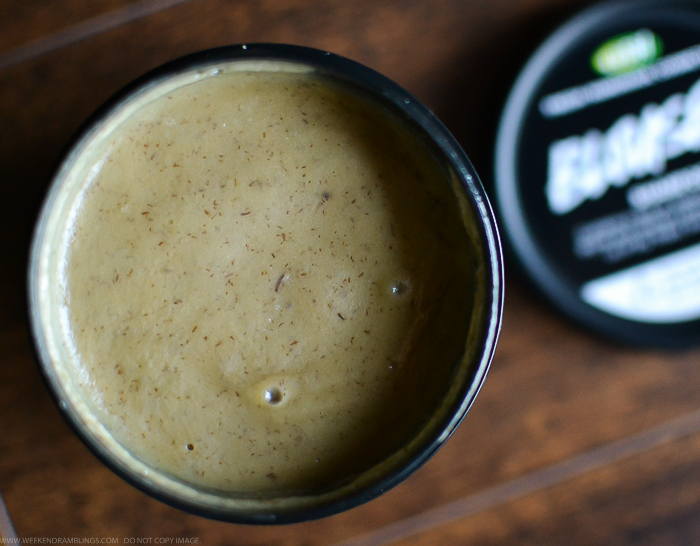 Lush Blousey Shampoo - looks and feels just like a really smooth puree of ripe bananas. It's a thick pudding-like consistency. 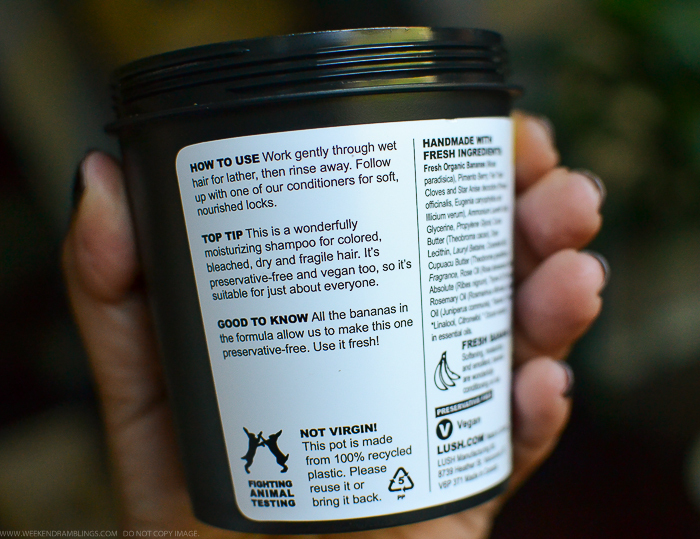 Lush Blousey shampoo is also preservative-free (who knew bananas were a preservative???) and also vegan. Recommended for dry, damaged, and/or color-treated hair. As it turns out, this funny-looking, odd-smelling shampoo is just what my colored-every-month, dry, frizzy hair needs. It's gentle - leaves my hair feeling soft and the color looking fresh - and unlike every other sulfate-free and/or "recommended for colored hair" shampoo I have tried so far, it leaves my hair shiny and bouncy and feeling clean. It does get used up faster than regular shampoos, and the smell lingers on in my hair for a while, but I rarely notice the smell now, and I have short hair, so there's only so much shampoo I can use up :D I am just so happy to have finally found a shampoo that actually cleans my hair without stripping the color. This is not a sulfate-free shampoo. 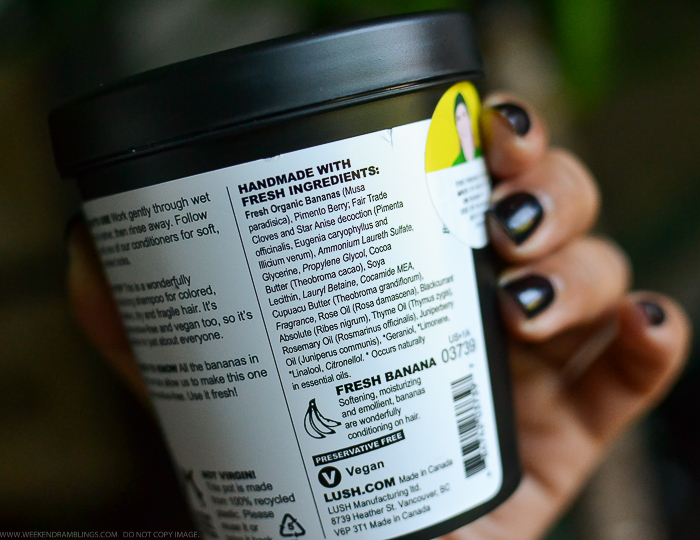 The ingredients list shows ammonium laureth sulfate, but it is listed lower in the ingredient list (than some of the other Lush shampoos), and it has no other color-stripping ingredients like salt or citrus oils in it. 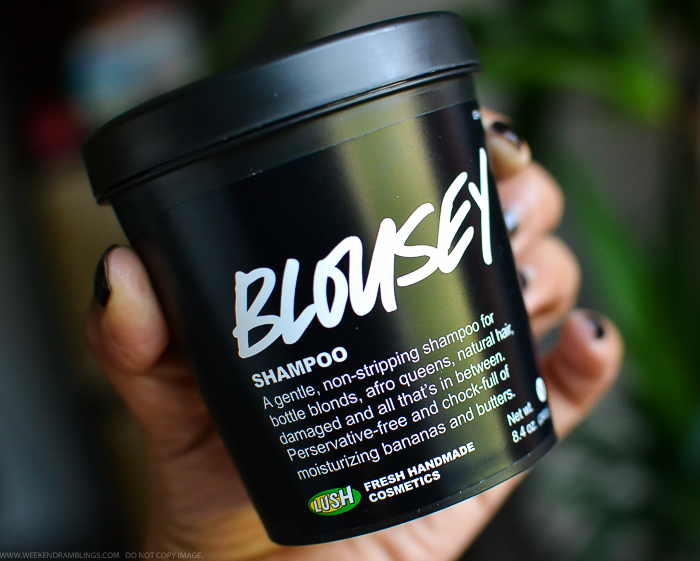 If you love using Lush products and have color-treated hair or are just looking for a good, moisturizing shampoo which won't leave your hair weighed down with residue, then do give Lush Blousey a try. I have darker hair, and the reason I color is to cover greys, using a hair color that's similar to my natural hair color, so color fading is not that dramatic of an issue for me (color completely stripping off is). 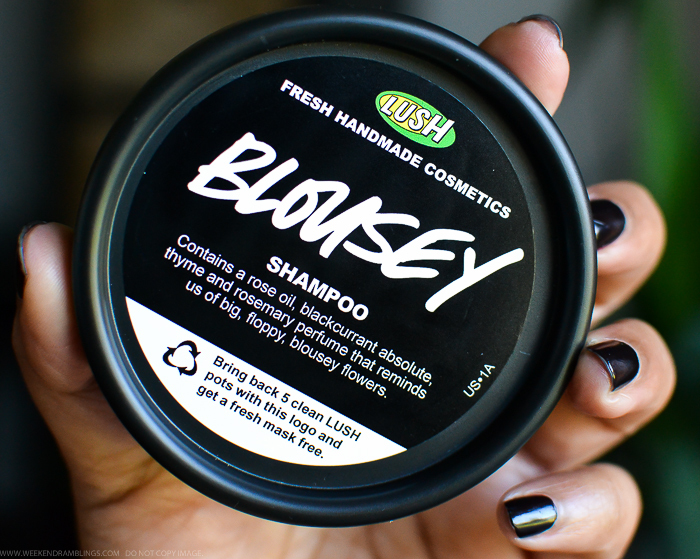 A shampoo that works for me might not necessarily work for someone with lighter hair or with drastically different hair color, but I would definitely suggest at least picking up a sample of Blousey the next time you are near a Lush store. Oh, and another reason why I love Blousey - it comes in a tub packaging so I can collect 5 and return in store for a free fresh face mask.